At 12:50pm on July 31, 2012, in Suratgarh, a dusty Indian town close to the Pakistani border, a single circuit breaker flipped inside a power station. The local power grid stumbled and overbalanced. Eight minutes later it collapsed, putting the lights out across Rajasthan state. Blackouts are not unusual anywhere in India, but this time circuit breakers began to flip in Uttar Pradesh, then in Bihar, then in Jharkhand. In 90 seconds, the blackout had spread 1,600 km (990 m) to the Bay of Bengal, and a cascade of failures was rippling north across the country. 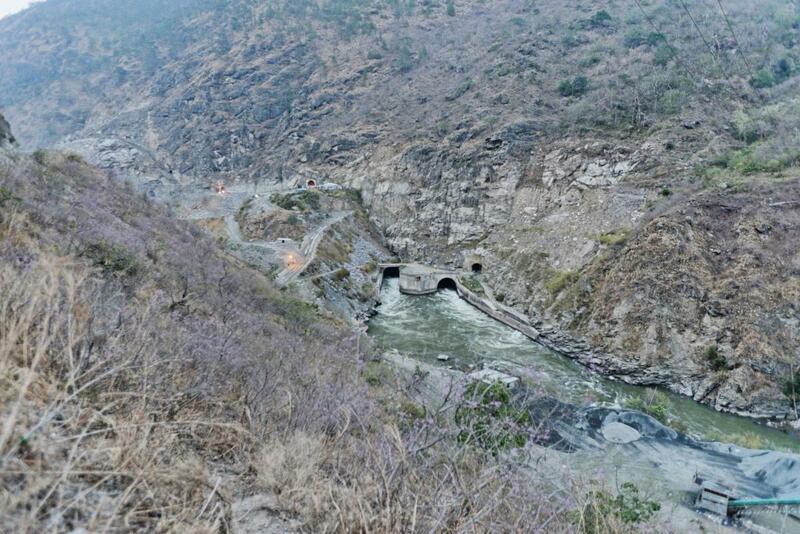 Hydropower plants along the Ganges tripped one after another in split-second sequence. Coal-fired turbines ground to a halt. By 1:30pm, half the population of India was left without power—almost one in ten people on the planet. In the tunnels of the Delhi metro thousands were plunged into darkness, while above them cars clogged the streets under dead traffic lights. In the wealthy city of Gurgaon, nurses scrambled to operate life-support machines by hand. Miners in West Bengal were trapped underground. Crowded trains rolled to a stop in the empty countryside. Temperatures rose in the humid summer air. It was the largest power outage the world had ever seen, and an unprecedented challenge for the operators of India’s grid. Decades of exaggerated promises by elected politicians had stretched the network beyond its breaking point, and the entire country had been running on a deficit. Worse, corruption and illegal power lines meant that in some states true electricity demand was almost double official figures. Dead power plants have to be jumpstarted, but now stations with expensive self-start facilities were being knocked out by unpredictable loads before they could pass on their power. The system had come to a standstill. High in the Himalayas, in the lush forests of central Bhutan, four men in the control room of Basochhu hydropower plant sat at a console beneath a shrine to the Buddha. 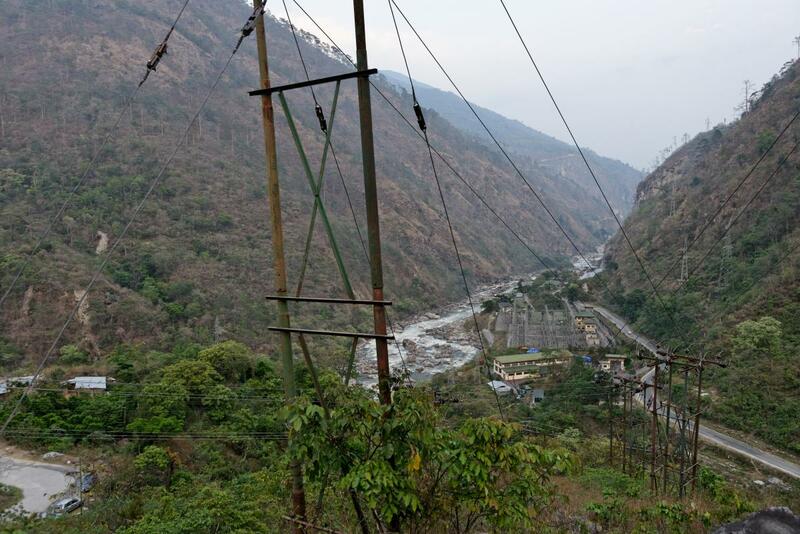 Bhutan had not escaped the blackout, but Basochhu, isolated at the end of the cascade, had. In the mountainside above them, 74,000 tonnes of water stood cradled in a serene, tree-lined pool. They let it all come down. Ten thousand litres (2,640 gal) per second blasted through a 420-metre (1,380 ft) pipe and into the Basochhu turbines. The lights turned on in Thimphu, then across the country. As Bhutan’s hydropower stations returned to life, the tiny nation kickstarted its giant neighbour. From east to west, India began to roll back the blackout. The miners were rescued. The lights turned on in the Delhi metro. By 9:30pm it was all over. Tiny Basochhu had saved the day. From the outside, with its ornate wall paintings, corniced windows, and distinctive layered eaves, the Basochhu plant could easily be mistaken for a traditional Bhutanese home. Two hydropower projects in progress a few kilometres upstream are far less discreet. Punatsangchhu I and Punatsangchhu II fill all available space at the bottom of their Himalayan gorge, packing pylons and concrete around the rushing white torrent. Set in series, each will be able to harness power from more than 400 tonnes of water every second. Combined, they will produce almost 35 times as much electricity as the Basochhu plant. Even with the recent completion of the country’s grid, that’s five times more power than Bhutan can actually use. They are a sign of things to come. Including Basochhu, Bhutan has four operational hydropower stations, but as many as 70 new plants are planned. Three of them, two at Punatsangchhu and one at Mangdechhu, will come online in the next two years. Another seven major plants are in the pipeline, and all of them will produce power for India. Since 2012, India has increased its power generation by a staggering 50%, but its appetite for electricity is insatiable. 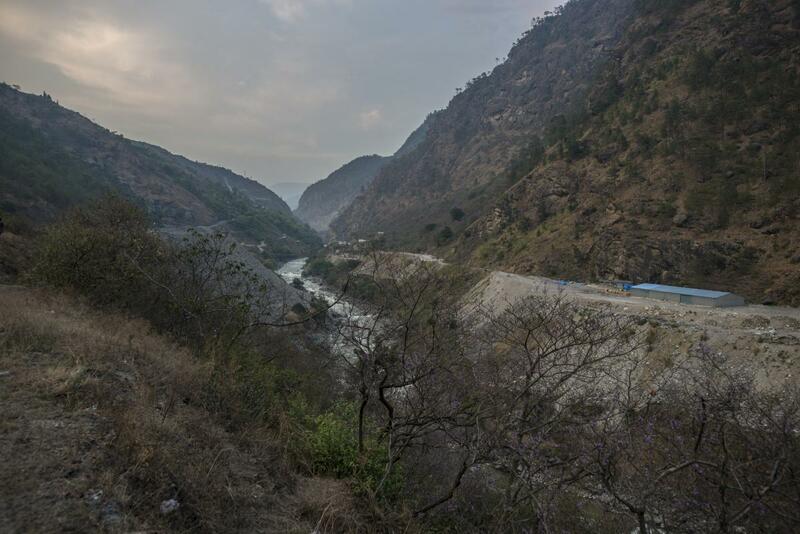 And with many of its low-lying rivers already crammed with hydroelectric turbines, the government has turned its eyes north to the Himalayas, with plans for 292 dams on its territory by 2030, according to a 2013 report in Science magazine. It’s not alone. The Guardian reported in the same year that China, India’s great rival, had plans for 160 dams, and is financing major hydropower projects in Pakistan, Laos, and Burma. Keen to expand its share of the rooftop of the world, India has focused attention on Bhutan. All energy produced in Bhutan is clean and renewable, permitting the country to minimise carbon emissions and earn carbon credits. Although small, the country has vast hydropower potential, only 10% of which is currently being exploited. Indian investment has fuelled a spectacular hydropower boom that has given Bhutan the fastest-growing economy in the region, the third-fastest in the world. Bhutan’s four major river systems descend 7 km (4.3 mi) on their way south through the country, and have a hydropower potential of 24,000 MW. During the five months of the rainy summer season, Bhutan currently produces just 7% of that, 1,606 MW, three-quarters of which is sold to India. But that already makes hydropower Bhutan’s biggest export, part of an industry accounting for 50% of the nation’s GDP. Output is projected to double by 2019, then triple again within the next decade. It’s an audacious national gamble. Hydropower endeavours have kept Bhutan’s external debt hovering around 100% of GDP for the past three years. Long a recipient of Indian aid, Bhutan’s latest ventures are 70% funded by Indian loans, rather than grants. Costs for the first of the country’s ten new hydroelectric stations, the still-unfinished Punatsangchhu I, have ballooned to two and a half times initial estimates, exceeding the entire country’s economic worth. And it’s not just the loans that come from India. Most of the contractors on the projects are Indian. The engineers are Indian. The infrastructure around the dams is built by Indian companies. The loans may be paid off by selling the electricity the plants create, but there is only one customer for that power: India. And India helps to set the price. For Bhutan, however, this about more than just money. Two of the four ‘pillars’ central to the government’s Gross National Happiness principle (GNH) are sustainable socio-economic development and environmental conservation. Hydropower could contribute to both aims, though they are not always complementary. ‘If you want economic growth, there will definitely be an impact in terms of pollution,’ says Thinley Namgyel, director of Bhutan’s advisory GNH Commission. ‘You need to construct roads, industrial estates. We sit together and see how we can improve, and we try to find the best way forward.’ The GNH Commission reviews the GNH of all governmental projects using the GNH Policy Screening Tool, which breaks the four pillars down into a set of 26 questions, ranging from queries about a scheme’s potential to ‘undermine Bhutanese values such as compassion and generosity’, to issues related to corruption, gender equality and botanical diversity. In fact, environmental protection and sustainable development were both well rooted in Bhutanese law long before GNH was enshrined in an eight-page questionnaire. All five-year economic plans since 1987 have espoused economic self-reliance as a guiding principle, even as the budgets to implement them have largely been provided by India. And Bhutan’s striking commitment to keep at least 60% of its land forested ‘for all time’—as its 2008 constitution states—was set in place decades earlier by the 1969 Forest Act, the country’s first modern law. Since then, Bhutan’s focus on conservation has only intensified. More than half of Bhutan’s land has been designated an environmentally protected area or biological corridor. Its wild biodiversity is legendary. By law, no wild animal in Bhutan can be killed, injured, or even captured. It’s a mandate that creates problems for the 120 staff living at Basochhu power station. ‘It’s not advisable to go for a walk at night,’ says Yeshey Samdrup, head of the Operations Unit, ‘because of leopards. Also wild boar. Better to do archery.’ In the jungle wilderness around the colony, langur monkeys clamber through the trees and bird calls background every waking moment. Once a month, Yeshey Samdrup leaves to see his wife and two children in Thimphu, but at all other times, this is home: a state-of-the-art Austrian power facility plugged into the side of a wild forest valley. Its interior is bright, airy and immaculately clean. Between arched, unshaded Bhutanese windows, traditional paintings are neatly spaced along the walls, while in the centre of the room, two large, blue pipes loop into two large, blue discs half-sunk into the floor. Benevolent bodhisattvas gaze down from colourful hangings. It might almost feel religious, were it not for the noise. The room trembles with the sound a river makes when it’s squeezed down a pipe to spin steel waterwheels. A roaring organ chord of every kind of hum, a kind of sonic drowning. All of the controls for Basochhu are in this lower stage, where they are operated by shifts of four people. But every now and then someone has to drive along 8 km (5 mi) of track to the upper stage of the plant, where an automated dredger clears sediment from the entrance to the power plant’s penstock. ‘Whenever there’s a breakage of the [dredger] I have to go,’ Yeshey Samdrup explains. ‘Even if it happens in the odd hours, at say, 1am or 2am.’ He drives slowly to avoid hitting any animals on the narrow, winding road. ‘In the headlights, a leopard will not move,’ he explains. ‘He will stare at you, one or two metres from the car. It’s beautiful.’ A visit to the upper stage is also necessary after one of the area’s frequent earthquakes, so that he can inspect the entire length of the pipeline by climbing into the tunnel that houses it. ‘There are snakes down there,’ he says. ‘It’s very hot inside. Suffocating. Snakes like to be in such an area. People have seen pythons.’ Pipe inspections take a tense two hours. While hydroelectric projects certainly have an impact on the environment, Bhutan’s ‘run of the river’ installations are less invasive than traditional dams, which block rivers completely. With a little over 700,000 people spread across a country the size of Switzerland, Bhutan has a population density one-sixth that of Nepal and a quarter that of the Indian province of Himachal Pradesh. Nevertheless, Bhutanese hydropower does disrupt local life. Basochhu is a ‘run of the river’ plant, meaning that it only diverts 85% of the Basochhu and Rurichhu rivers through its turbines, rather than blocking them off entirely behind a dam. In theory, this is a low-impact compromise: the course of the river remains unchanged, so that the 200 people who live in the nearby village can continue to use it for their fields and households, and wildlife is affected as little as possible. In practice, older generations of Bhutanese notice the diminished power of the famous Basochhu waterfall nearby, and there have been other, unforeseen consequences. Trout will instinctively swim against the current as they migrate upstream, even when this leads them into the churning channel where the Basochhu plant releases its water back into the Punatsangchhu river. Twice a day, operations are paused to deal with the ‘more than a hundred’ fish struggling in vain to jump into the outlet. Locals hired as maintenance workers climb into the drained concrete canal to collect the squirming fish in buckets, small nets, and by hand, before throwing them back into the river. While they work, they are watched on CCTV. ‘They try to hide them,’ explains Yeshey Samdrup. ‘They put them in their clothes.’ So now workers have to line up on their way out of the facility to be frisked for fish. Concerns about the impact of the Punatsangchhu plants further along the river are of a different magnitude. 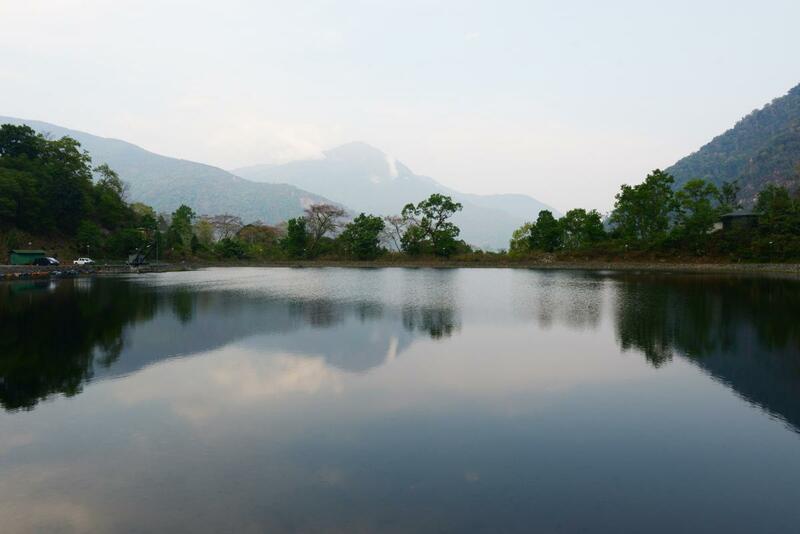 Punatsangchhu II lies downstream from the breeding site of the golden mahseer, a spectacular species of carp that is already endangered, and both dams disrupt the last habitat of the white-bellied heron, of which only around 60 remain in existence. In 2016 The Diplomat reported claims that the Environmental Impact Assessments which should have been prepared by the Indian firm WAPCOS for the ten new hydropower projects have never been made publicly available, despite requests. Bhutan has every reason to take climate change seriously. ‘What will happen down the line?’ asks Yeshey Samdrup. ‘Maybe after 30 years of climate change, the water will be finished. All the glaciers will have melted. How will we generate power then?’ Many Bhutanese share his concern, but the country may not be in such dire straits. Following publication of the UN’s Intergovernmental Panel on Climate Change report in 2007, it was widely believed that all glaciers in the Himalayas would disappear by 2035, until glaciologist Professor Graham Cogley revealed the IPCC’s claim to be a typo. The original, disputed, date was 2350. Bhutan relies heavily on Indian loans to finance its hydroelectric plants and Indian construction workers to build them. It also relies on India to buy the electricity, providing the funds to pay back the loans that financed the plants. Beneath the lush vegetation carpeting the country lie an estimated 1.3 million tonnes of untapped coal reserves, but neither these, nor the glaciers hold the key to the nation’s future. Bhutan’s real batteries are the forests themselves, protected by the country’s constitution. ‘More trees means more retention of water,’ explains Ujjwal Dahal. ‘So that it slowly seeps into the rivers in a steady flow.’ Preserving Bhutan’s resilient, diverse wilderness and clean, crystal streams is no longer only a noble aim. Against all prevailing wisdom, they have become key to the country’s economic growth. If its great gamble pays off, the tiny nation will leapfrog the open-pit mines and scarred moonscapes of its neighbours to land straight in a hydropowered paradise. Jonah Goodman is a British writer whose previous contributions to WTW have explored war-torn Sarajevo, Californian prisons and wood-powered cars. For this issue, he flew to Bhutan to find out what makes it tick. This article comes from Works That Work magazine, No.8.